THIS POST IS BROUGHT TO YOU BY FRUDIA & KIEHL'S, BUT ALL OPINIONS ARE MY OWN. Happy Friday! What's everyone doing for the long weekend? I'm ready for some much need R&R for the next few days, as come Tuesday it's the beginning of a long and crazy week, AKA: Fashion Week. Today's post I'm sharing my latest beauty favorites that I've discovered and have been using for the past month. 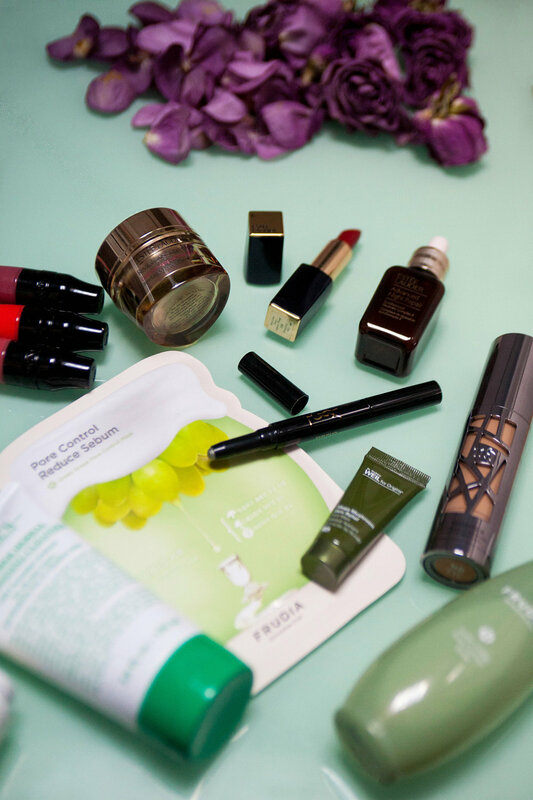 There's a ton of skin care and makeup products I'm excited to share with you, ranging from Lancôme, Estee Lauder, YSL Beauty and even a new K Beauty line called, Frudia. I found some really amazing lipsticks and face masks along with a brand new liquid foundation I've never tried, but am now officially obsessed with. Come take a look at all these goodies and how these can be incorporated into your beauty regimen! You think drinking cucumber-infused water is refreshing? How about washing your face with it?! This ultra-gentle, foaming gel-lotion cleanser softly melts away dirt, impurities, and makeup while conditioning even dry, sensitive skin for a fresh-feeling clean that lasts all day. Formulated with whole cucumbers, carefully extracted to preserve the quality and nutrients of the fruit, and plant-based glycerin, this non-drying, non-irritating cleanser maintains skin's moisture leaving it soothed, velvety soft, and comfortably cleansed. My skin type is combination/oily, so I will definitely be using this cleanser to the start to the chillier season... it'll be perfect during winter time! Looking to get rid of that extra sebum on your face without drying it up? Stop worrying about oily skin and dirty pores. This nature-derived, botanical sheet contains 60% green grape extract to help tighten pores and balance the skin. Using a face mask like this quickly delivers active ingredients deeply to the skin to balance moisture and soothe your irritated skin. It can be used on all skin types. This creme is the key to younger-looking skin. Unlock your skin's youth potential and see it spring back with new bounce, glow with radiant vitality. With Estee Lauder's exclusive RevitaKey Technology featuring exclusive moringa extract, this silky-soft, deeply nourishing multi-action creme encourages skin's natural power to amplify collagen and elastin. Lines and wrinkles look dramatically reduced. Skin's visible firmness, density, and elasticity are significantly improved. In just 4 weeks, 96% of women said their skin felt firmer. After using this creme every night for a little over a month now, I too can attest to an improvement in my skin's overall 'glow.' It's literally amazing. The only kind of toners I ever use are Korean. This pure, refreshing toner made up of 89% green grape extract controls pores with natural grape tannin and helps remove dead skin cells. Panthenol calms agitated skin, while fruits seed oil complex helps to maintain skin clarity. The tannin works with and vitamin E from the green grapes to not only hydrate the skin but keep it smooth and healthy. Soothe and hydrate your irritated skin with this fresh-feeling green grape toner, it smells fantastic too! A non-irritating, redness-reducing facial mask for those rather, extra rough days. The effects of sun, wind, and dehydration can accumulate, and your skin needs extra help to break the cycle. This rich treatment mask with hypsizygus ulmarius, cordyceps, and reishi mushrooms along with ginger, holy basil, and turmeric rushes relief to challenged skin to rapidly soothe signs of compromise. Chinese black bamboo leaf extract celebrated for centuries as a symbol of eternal youth, quells and calms visible redness and reactivity. And a unique blend of marine algae and moisture-replenishing plant extracts helps revitalize and restore luminosity to stressed skin while rebuilding a protective barrier to help avoid future flare-ups. Great for all skin types, skin is left calm and comforted. I use it once a week on top of sheet masks, and it's a great face mask. A full-coverage, matte-finish, waterproof foundation that lasts all night. All Nighter Liquid Foundation by Urban Decay provides full coverage with a modern matte finish that never looks overdone. Get all-night wear and a blown-out effect you never thought was possible for a flawless-looking complexion that looks incredible and stays that way. Perfect for all-night affairs, this innovative formula is also comfortable enough to wear every day. While Naked Skin complexion products are semi-matte, All Nighter Liquid Foundation is completely matte and oil-free. Urban Decay loaded this formula with a higher amount of pigment (about three times as much as Naked Skin Liquid Makeup), so a little goes a long way. There's no need to build coverage or apply multiple layers. This waterproof formula diffuses light to blur flaws for beautifully perfected skin, while it mattifies and absorbs oil to reduce the appearance of shine. It's a wonderful foundation for fall. A highly pigmented matte liquid lipstick that delivers intense color payoff with a lightweight, second-skin feel. Matte Shaker High Pigment Liquid Lipstick wears comfortably on your lips throughout the day without drying. Its pillow-like cushion applicator allows for precise application without streaking or smudging. And it's formulated with a patented Ultra Thin Film technology and vitamin E, so that lips feel double the thinness of a liquid lipstick and provides comfortable non-drying wear. Its unique cushion sponge allows for maximum absorption of the formula to deliver a precise, soft application onto the lips, and buildable color that dries without smudging or transfer. Just shake it to soak the applicator with formula, and apply the cushion directly onto lips to build the saturated color. Then wait for it to dry down to a lightweight, comfort matte finish. I even love mixing the colors together to blend an entirely different hue as well! Really amazing liquid lipsticks. A dual-ended eye shadow pen that allows you to shade, line, smudge, and highlight to create easy smoky looks. The eye shadow comes with a creamy texture and water resistant formula. One side of the dual-ended pen has a dark shadow and the other side has a light shadow, so you can use it from day to night. Use the darker color as a base on your eye lid and lower eye lid in one stroke. Use the lighter color as a highlighter on the corner of your eye and at the arch of your eye brow. For a lighter version of the look, start with the light shade as the base on both upper and lower eye lids, then add contrast and structure by applying the darker shade to the outer corner of the eyes. There's an assortment of colors but I loved the green one. 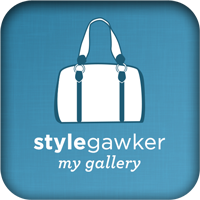 You can see it on me in this look here. Reveal a smoother, more radiant, younger look. Wake up to more beautiful skin every day. Tested and proven: Advanced Night Repair dramatically reduces the look of key signs of aging. It maximizes the power of skin's natural nighttime renewal with our exclusive ChronoluxCB Technology. Lines and wrinkles look significantly reduced. More than 75% of women felt their skin looked more youthful in just 4 weeks. Skin feels smoother, hydrated, stronger. 82% felt their skin was immediately hydrated. Skin looks younger, radiant, more even toned. 83% felt their skin looked healthier, fresher, more rested in just 4 weeks. 25+ Patents and Patents Pending Worldwide. These stats are legit - it's my new favorite serum! This luxurious eye cream gently moisturizes the eye area without migrating into the eyes. Perfect for use under eye makeup, it contains highly effective natural ingredients that provide essential daily hydration and protection. The eye area is left softer, suppler, and more youthful-looking. 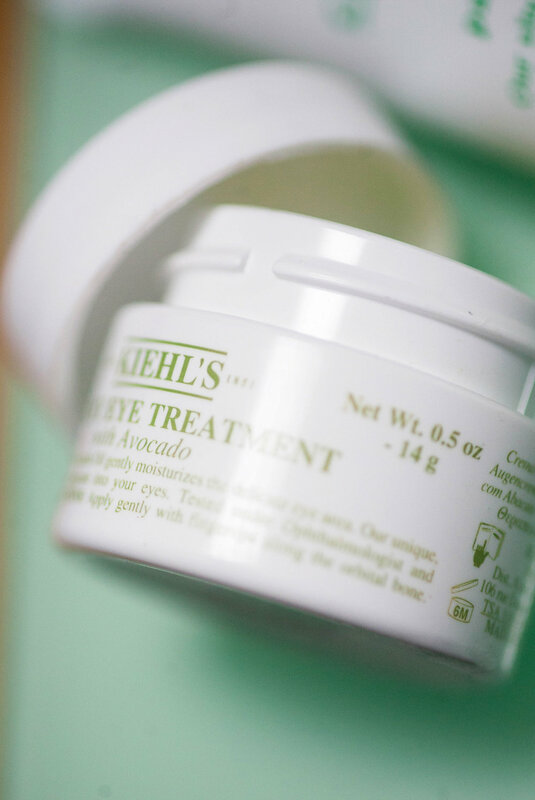 This moisturizing eye treatment formulated with avocado oil is a definite must morning and night in my beauty routine. An Allure Best of Beauty winner, this six-hour wear, highly-pigmented lipstick gives your lip look the ultimate transformation. Make a bold color statement that lasts. 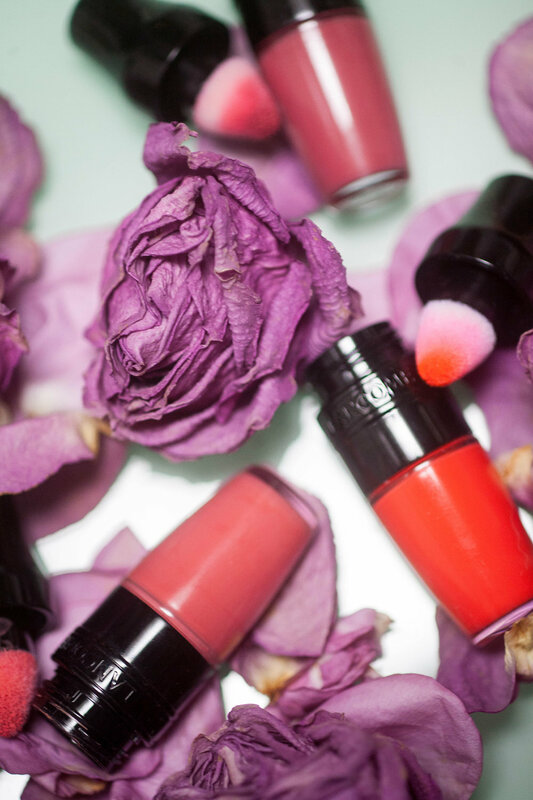 Saturate lips with high-intensity color in one stroke, swiping on a statement shade that works with all skin tones. Designed with multi-faceted pigments that add definition, and a time-released moisture complex that seals in hydration, it leaves lips looking beautifully shaped, sculpted, and curvaceous. I have been trying to find the perfect red lipstick for the fall/winter season and this one is a definite keeper!